Would you like to earn revenues that would be four times higher than what you currently earn today? Well, there’s one simple way through which you can achieve that – focus on your core activities. A recent EY report revealed that the companies which did this one thing had four times higher revenues than the companies that did not. So what is that one thing? Well, it’s related to your operations. Companies that segregate their core activities from your non-core activities have four times higher revenue vis-a-vis companies that don’t. In this article, we present two different examples that make a business case for this. When Steve Jobs came back to Apple, at that moment in time, Apple was offering about 300 products and services. The company was a couple of months away from bankruptcy. He had to make some tough decisions. One of the first things that he did was to decide on what the company’s core offerings were and what it could produce exceptionally well. Surprisingly, from 300 products and services, he decided to just come down to four key products. He decided to focus on two laptops, one for business pro users and one for the end consumers. He decided to focus on two different types of desktops, one for business users and one for consumers. This allowed all the different resources that were out there doing a million things and just moving those a millimeter forward to be freed. He was able to get all of them focused on just four types of products. Through this, he gained extra bandwidth to come up with innovations that absolutely changed the world. This was the period in which he was able to come up with the iPod, the iPhone, and the iPad. As we know, they’ve changed the way in which we interact with technology. The second company is an Indian company. 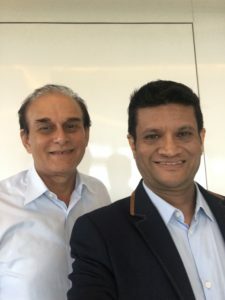 Last year, in a video interview, iconic entrepreneur and billionaire, Harsh Mariwala, who is the founder of Marico Industries, revealed that there were some key specific core activities that they were exceptionally good at. According to him, “We’re brilliant at innovation, and we’re brilliant at marketing.” We focus on these two key things. Those were the things that we would never outsource.” He looked to outsource all the other non-core activities including manufacturing, admin, and operations. As a result, they were able to dominate the markets that they had been in. What are the three simple ways that you can use to utilize this approach and apply it to your company? First and foremost, figure out where your core competencies lie. What are you exceptionally good at as a team? What are you passionate about? And what is there a market need for? If you figure those particular things out, then the intersection of those three things is the Sweet Spot that you should focus on. This would mean that you focus on the Fundamental Few and not the Non-Essential Many. Of course, you need the courage to be able to delete all the other things that you think are not relevant. Next thing, look to outsource the non-core activities. This, you will find. makes you very agile, and you’re able to scale up much faster. Secondly, get clarity about key result areas and key performance indicators for your core activities, so that you’re able to monitor and track them very clearly. That way, you can know if you’re succeeding or not. That makes you very responsive. You’ll be able to make business decisions where you know that if these particular indicators move forward what the positive financial implication of doing those would be. If you don’t have those particular indicators, then you’re making decisions without data, and you’re in the dark. So you’ll not be able to make good decisions. Finally, you should check whether you can automate a lot of those non-core activities. Today with technology it is possible to automate so many key things. Before you look to outsource, see whether you can automate them. You can streamline your operations through these three simple ways. Concentrate on your core competencies. Segregate out the non-core activities and become capable of growing at a massive pace. Grow your business four times larger than what it currently is. What core competencies will you focus on to grow four times faster? Like, share and comment below.